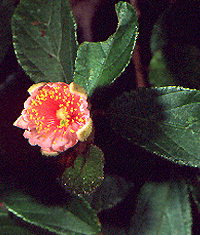 Flower of Grewia sp. (Tiliaceae), an important component of dry vegetation in Madagascar and other parts of the Old World. This was found in the Mikea Forest.